<— HAPPY FRIDAY!!! Time for a reading weekend and guess what?? We found lots of goodies to read. LIKE THE LATEST FROM KARINA HALLE!!! !!!!! And oh yes… the blog has changed somewhat. 😉 I upgraded everything!!! But also, now that everything’s pretty much done (minus a few bugs to work out in the changeover), I’m finally able to read again. And buddy reading, no less! Amy (my book-twin) and I are reading the same book and we didn’t even plan it! Amy: The Girl He Used to Know by Tracey Garvis Graves – You guys, I think I’ve found one I could end up loving! I don’t want to say it to soon because I’ve done that before and then ended up feeling “meh” about it, but this one has LOVE IT potential! Annika has my heart already, and I’m only 25% in. The writing just flows, and I’m not *gasp* getting annoyed by anything in the book! Maryse: Amy!! We’re reading the same book!!! YAY US!! BUDDY READ!! Amy: YAY MARYSE!!! How are you liking TGHUTK? Maryse: I’ve just started last night so I’m only a few chapters in but I’m happy that (at least so far) it’s all from her POV. I’m totally in. Tracey Garvis-Graves is such a great writer and story-teller. :D!!! Linda: Just started My Life in Shambles last night. 33% in and in love!! Naked Love by Jewel E. Ann <— Back on the list ’cause the ebook went DOWN last week, but it’s back up and I’m excited!! And Linda LOVED IT TOO!! Linda: Also highly recommend as so many already have is Naked Love by Jewel E. Ann. All the emotions. I Dare You by Shantel Tessier <— Katelynn recommends this one! Katelynn: Have you read I dare you by Shantel Tessier ? It’s so good and on Kindle Unlimited! I instantly went in search of the next book … I’m happy it’ll be out soon! I loved The dynamic between Cole and Austin. Mainly I love how tough Austin is. Love Lost Her Way: A tragic story about a girl who lost all hope by Julie Anne Addicott <— “Everything we love. Horrific life, taboo, suspense, wtf did that just happen?” ALERT <— and Brooke recommends this! Brooke:Hey Maryse! I wanted to tell you about a book that I just read. This is my first time messaging you and I’ve been following you for years so that should tell you how awesome this book is. It’s called Love Lost Her Way by Julie Anne Addicott. Let me tell you, it is hands down my fave of 2019. It has everything we love. Horrific life, taboo, suspense, wtf did that just happen? moments, and best of all it’s a beautifully told story. You can tell this author did her research because it is so well done, thorough, the characters are amazing! It only has 27 reviews and I just submitted mine. I feel like this book NEEDS the recognition it deserves. I’m not a blogger. I’m a SAHM and have no clue how this stuff goes, I just know I love to read and read every single day or I go crazy. I honestly thought of you first because I follow you more than anyone and we have similar taste in books. Anyway, if you read this, thanks!! One Plus One: A Novel by Jojo Moyes <— Jojo Moyes ALERT!! This one’s on sale today and Tasha really enjoyed it!! Tasha: Maryse, Jojo Moyes- One Plus One. …you’ll love it. I’m sure of it. Little grumpy meet, fun road trip, real life problems, a little drama, funny, brainy kid, moody kid, and romance!! That was probably poorly described, but you should try it! …on sale…I paid full price for this one too, haha, and it’s GOOD!! No Man Can Tame (Dark-Elves of Nightbloom Book 1) by Miranda Honfleur <— MICHELLE LOVES THIS TROPE!! The Five by Lily White <— A WTF MOMENT!!! Linda also recommends this one! Linda: And The Five by Lily White. Just wow. Couple weeks later and still with me! Robyn: Linda- I just finished The Five. I had a wtf did I just read moment at the end. The main female character is something else. Bad Boy Blues by Saffron Kent <— HE’S RICH & A BULLY & SHE’S THE MAID THAT SERVES HIM!! GASP!! “…It doesn’t matter that he’s rich and popular or that he lives in a freaking mansion full of butlers and maids. He’s rude and arrogant, and she wants to stay as far away from him as possible. Great list! Picked up a couple of new ones. Can’t wait to start Ms Halle’s latest! TGIF! 😁 Good morning all! What’s everyone reading? I started Covet by Ella James but it’s not on audio so I’m having hard time sticking with it. Not sure what I feel like listening to. Here are my options: Rebound Winter Renshaw, Catch Me Claire Contreras, The Birthday List Devney Perry, Leo Mia Sheridan and After We Fall Winter Renshaw. Ohhh the Birthday List!!! I love Devney Perry!!! Love the new blog format! Thank you!!!!!! Morning! It’s pouring out and I have to go out in it. Spring and summer I remove my vehicle from the garage so the kids can throw their bikes and toys galore all over the garage floor. There’s not room for both. And it’s times like these I hate my good deeds. Did Bev make it over yet?? Not yet Tasha… I don’t know what’s going on. I have a feeling her Internet Provider still has my old server cached, and it hasn’t cleared and updated to the new one. I can’t wait for her to get here. I’m going to the chocolate shop tomorrow to get some finishing touches on the kids’ Easter baskets and there’s so much yumminess in there, I’m not sure I’ll have any self-control. Especially now, at this time, this month. If ya know what I mean. 😉 Lol! And while I’m over there, I’ll swing over to the coffee shop and grab a white lavender latte. There’s something so soothing about lavender in a drink. A new to me thing. Just started My Life in Shambles last night. 33% in and in love!! The Girl He Used To Know was a “must read EVERY word” kinda read. Absolutely adored the H/h. Also highly recommend as so many already have is Naked Love by Jewel E. Ann. All the emotions. And The Five by Lily White. Just wow. Couple weeks later and still with me! Maryse the new changes..I’m in awe!! I’m so tech challenged. Thank you again for your dedication to this blog and us!! YAY!!! Thank you for the feedback, Linda. I LOVE this blog, and everything that comes with it, and I’m thrilled you guys are okay with the change. I tried to make them “slight” so as not to be overwhelming… to still make it feel like “home” where we’ve been for years, but it was time for some change. Also, thank you for the book recommendations!! I’m going to update the post with what you just said. :D!!! I see PINK!! I made it. Surprisingly Alpha fairies are not as fun in real life. Because you all left me alone you have to listen to my morning song. Omg I feel like everyone’s home now and I can breathe. IDK if it’s on my end but it won’t let me “subscribe without commenting.” The email I get notifications at is different than the one I use to post so that’s what I usually do instead of clicking the notification box. I’m totally down with checking in, just thought I’d let you know in case it’s not just me! I’m intrigued by Love Lost Her Way (Brooke needs to come and play with us, especially with being a SAHM! ), and now Linda’s rec of The Five, which sounds Tarryn Fisher-ish. Speaking of Tarryn Fisher, I am SO excited about The Wives which Maryse mentioned the other day! The only thing I’m disappointed about is the 9.99 price. 🙁 I’ve definitely paid that for books before, but her books have always been in the 2.99 to 3.99 range and are FANTASTIC, so to see one go all the way up to 9.99 is a little…dispiriting, I guess. I really hope it doesn’t affect the number of people who will purchase it. bev is here!!! Everyone is home now!!!! I finished The Girl He Used To Know yesterday afternoon. I absolutely loved it! It was primarily written from the POV of Annika which made the book so special because seeing things from her perspective was such a gift. It was helpful to get some chapters from Jonathan’s POV as well to better understand his thought processes as well. I just can’t sing enough praises – it was such a beautifully written, original story of not just love but hope. You MADE IT!!! Yay!! I ‘a little bit’ like the song. 😛 Also, I watched Gothamista videos last night. It’s a little overwhelming, all the products she uses, but I like that she layers and listens to her skin. Different than what I’ve always thought. I actually started using 2 moisturizers. I feel like I’m doing a bad thing, but I’m tired of it being so dry. Hey, did you ever watch any of Possessed? I’m on episode 4 or I just finished 4. Still really liking it. Leslie, I second Maryse’s recommendation for The Birthday List. I don’t think it’s too sad…but I’ll message you in GR. I’m listening to/reading Where the Forest Meets the Stars by Glendy Vanderah. I like it so far but can’t quite figure it out. I’m looking forward to My Life in Shambles but I have several ahead of it on my TBR currently. I’m also going to have to check out The Five. I think if Linda is recommending it, I’ll probably like it judging from her comments above. Maryse, something I noticed is I need to keep reentering my name and email but not consistently. It used to populate automatically every time I came here, but now it’s hit or miss if it does. Just an FYI. It doesn’t come together until near the end Michele, you mostly just accept her for who she is and enjoy the journey. Amy, I was told that yesterday too, so I’m going to resubmit this bug. I am usually too, but I decided to take Jo’s approach and just went along for the ride. It was actually easy to forget the whys, hows, and what ifs and focus purely on Ursa and her innocence and awe and spirit. And Jo and Gabe as well. The other stuff was a bonus. Have you met Tabby yet? Tell us if you also picture her as Amy! She got to have an alpha fairy and complains? 0.0 Noooo! I’ll take him off your hands! Maryse, did you lose the ability to bold the font? 🙂 I like when things pop out like that, especially the reaction to the blurbs. Finished Of Blood and Bones by Nora Roberts. OMG, sooo good. MichelleS, I don’t know if it was you or MicheleG who recommended the series, but either one, thank you. I saw MicheleG did read it, so if you haven’t READ IT! *nods* FAE DRIVEN APOCOLYPSE THAT HAS THE FEEL OF UNTIL THE END OF THE WORLD! All good in books and dramas but in real life I’m more inclined towards humans. Hopefully this weekend I can tune into Possessed. That sounds good, I’m checking that one out Tessa. Yay! I hope you like it too, Bev! Dang it. My “auto fill in for name & email disappeared too! Is that the the Nora Roberts Apocalalyotic series that starts off with the bird flu in Ireland? I read book one. Fae??? Need to go check out whatever you’re talking about! Bev!!! Big hug. You’re here!!! Oh! I remember now! Yes. Fae. Forest. Fairy circle. Dead bird. Apocalypse. Irish lore. I DID mention that a while back. How could I forget? I didn’t go I to book two for some reason. It was a long book!!! Thanks for reminding me. Yeah… Tessa I need to figure out what’s going on with my bolds! I love them too! MichelleS, then you were the one that got me to read it. I jumped into book two. I like long books. I had a day off and nothing and ended up reading three short. (less than 200 pages) so I REALLY prefer long books. Is anyone seeing the “subscribe to comments” and is it working? Okay and maybe I fixed the having to retype-everything in for commenting? Not sure, but maybe? I’ve been in a major book funk lately. Nothing looks good so I’ve been rereading my favorite Kristen Ashley books. Tessa, do you have any PNR/UF recommendations? Heck, at this point it doesn’t even have to be paranormal. Just epic romance with all the feels. ACK! It went back to not there. What do you mean Tessa? Still making me enter email and name. The lead actor of the show I’m currently watching is so handsome. Just thought I’d share that, lol. 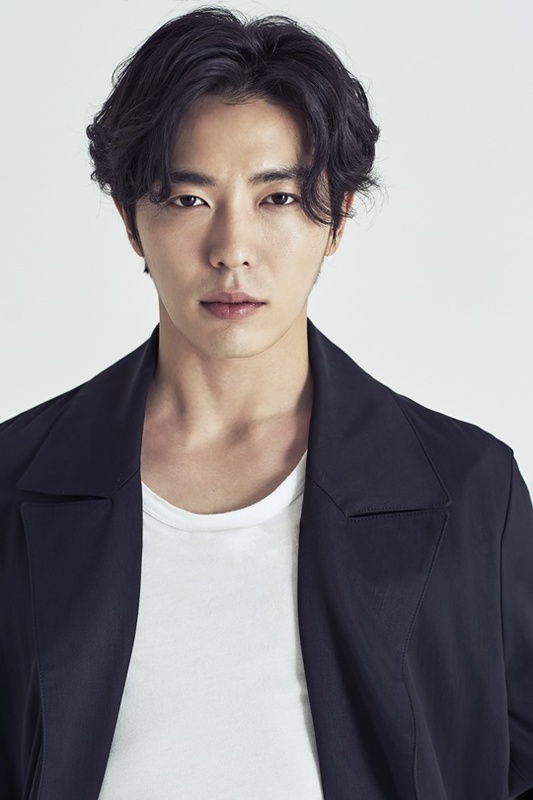 I mean , still not Gong Yoo. OMG I’m sitting here in Applebee’s snorting over the name! LOL!!! I’m gonna watch that new movie on Netflix with that guy from that other movie. Not The Kissing Booth, but the other one. Noah Centa something. Anyone watched it? I promise I’ll have a comment on actual books sometime here soon, I hope. Link didn’t work for me, Bev. Oh, I didn’t even see the name. LOL!! Ok, question. If you could live inside ANY author’s head for say, a week, who’s would you choose? Only 1. I choose Sarah J Maas. Ok, question. If you could choose to live inside ANY author’s mind for say, a week, who’s would you choose. Only 1. I choose Sarah J Maas. Jk Rowling……maybe. Other people’s brains scare me. He is too much for the blog to handle, lol. okay now I’m trying again. And I checked that off. Next, I will test iphone. Jk Rowling…….maybe? Other people’s brains scare me . Other comments can come in separately and we’ll see those too. But as I have just set it, all “responses” will be connected to the original comment. Let me know if you like that. 🙂 If not, I can change it back. It saved me. And shows that I subscribed. Before I was getting the emails but it still had the box to check as if I hadn’t. Okay good!! I think I’m figuring this thing out! It is the Liliputian blog after all. Okay I just set it at 2 levels deep so it doesn’t keep shrinking, but still nests our comment responses to the original comment we’re responding to. Maryse this is the hottest comment thread. Hmm. So it wants me to enter my info again. But not showing me the save my name box, but is prompting me to subscribe. However, I really DO like the reply button below the comments! Okay I knocked out the nesting…. So you’re not seeing your name and email already in the box (although greyed out)? Nope, still not seeing it. Right there with you Amy. It took me 4 days of being on this “look” while making the updates to finally relax and like it. And it’s not that different. White background instead of pink, one column instead of two (although everything in the two columns is in this one column)… and of course… my face banner at the top. LOL!! The opening of Possessed freaked me out. But I’m a baby about these things. I don’t see a reply button. 🙁 The ack was because the names went away for me too. That’s what the ack was for. It seems to go away after a small period of time. If I say something right after I said something, it’s there, but some time longer (no idea how long), it disappears. If it helps, I’m on a laptop. Robyn! Challenge accepted! (You read the Bird and Sword Chroncles and Breath of Fire one, right?) Oh and apparently we aren’t friends on Goodreads. I sent you a request! Deborah WIlde’s The Unlikeable Demon Killer series. Jennifer Estep’s Spider series. Oh, and it’s at most libraries. That’s how I discovered it. Oh Maryse, now it isn’t there. The option to keep it saved isn’t there. Oh well. Bugs are an IT’s friend, right? Thanks Maryse! I just tried again from my phone this time and it still isn’t working. I clicked on the subscribe link and put in my email, but when I hit SEND, nothing happens. I can try using my “good” email to post and then select “notify me.” It didn’t work with the old format but maybe it will now. Testing my good email. Please ignore! OK so I was able to post with my “good” email and click the notify me box, but I’m not actually getting notified–unless this new version doesn’t notify you of your own comments like the other one did. Okay first thing in the morning, I’ll call them, and work through the comments issue on the phone with tech-support. I’ve been dealing with my main tech-guy assigned to my account by email, but I’ll call in directly instead and work with their weekend crew. They’re open 7 days a week!! I just got a notification for your comment, so it must not send them for our own anymore! So yay! The “notify me” box works. The subscribe link “send” button doesn’t (for me) so just have them check that one. Bev, the 1st episode is really intense. I don’t think they’re that terrible after. But I’m only on the 4th too. Btw, I like JK Rowling, good choice! I just think it’d be so cool to see the creativity in these ppl first hand. Be personal with the characters and scenes they think up. Movie was cute last night. The Perfect Date, I think it was. Maryse with info logged in. Oh boy. I don’t think we’re mature enough to know we can post anonymously. Someone better keep an eye on bev. I think that was me… LOL! And yes, you can post anonymously (without typing any of your info at all), but those comments go straight to my “pending box” for approval. Which is where all of mine ended up last night while I was testing that option. I hope I dont start getting notifications on my own comments. I talk to myself enough. No reply button on any comments here. I like random strings! Robyn – have you read My Familiar Steanger? Shoot. Need to fill in my email again!!! MichelleS… on my comments screen, they actually show as a “reply” link under each comment… no button for me, but the link works! I’m trying “reply” did it work? Maryse- I’m on my phone. No reply option here. And I’m putting my email in every time. The box to check to “save” it for future posts is gone now too. Hrmmm… same for me. Maybe the tech team is working on something?? Tasha finished ep 1 and 2 today in the light of day…..cause that is how I roll, lol. I like it, though slightly on the scary side for me. Serial killers with axes and ghosts freak me out. Love that our hero is a marshmallow inside. I like the chemistry between our two leads. At the end of ep 2 I like that the Shaman was a bit of a badass. Maybe it’s just the way it’s done for me that isn’t too scary. It’s not like Amityville Horror or Texas Chainsaw level scary for me. The ghosts aren’t that frightening to me. The group of detectives make me laugh and I like the chemistry of the leads too. Not too light, not too dark for me. I’m partway through ep 3. He is so sweet to his ghosts. Loved when he looked down and the one was resting in his lap. I did something… I added a special add-on to the comments and I’m not sure if it will work. Now I’m trying to find how to add a “reply” button to each of our comments. Do you guys have a login issue now? Okay and the REPLY button is back (we can reply to any comment directly) but it has to be “nested”. This new update only allows direct comment replies if “nested” is activated. But at least we have the option to comment individually directly in the comment box, or reply to a comment instead. Oh, whoa. What are all these little icons and such. So far so good. What is the flame and lightning? I’m assuming when we go on one of our discussion tangents, whatever comment it all ends up under (or in), it will automatically get ones of those symbols. LOL! Are those like buttons?? I like comment box on bottom. Now I have to scroll back up after I read last updates. Ugh! Note to self. Do not hit the little chain on far right top corner. Lol, I like that we are all just randomly hitting buttons. I think it’s because we’re used to it that way. It’s been like that for years. So we comment, and then we scroll down through the comments and “reply” to various comments to have discussions. And all the comments are in order by date/time. I think that works or makes sense? I hope. Eeeeep! *testing reply* Also, the clicking more for large comments, was that on purpose? Hmm. See I had to search for your comment. That could become frustrating. Also…..why the new pic? Okay for this, it seems this comment program puts a “read more” for faster comment loading when it comes to long comments. That said… I just turned off that function altogether. 🙂 YAY!! This commenter gives me all sorts of features and turn-on and turn-off buttons! I like the idea of someone new wanting to look at the most upvotes…….and it’s just us playing with buttons. But maybe found something. When I hit on link to take me here from email it is saying something like “Oops error”. My comment is now first, not last! ??? You can choose how you want the comments sorted. Now the email link is working. Maryse, I’m going to test to see if after entering my name & email this time if it saves it. BTW, I am ALWAYS on my android phone when accessing blog. I’m guessing mobile might be diff? Yes!!! It looks like it saved my info. Ok, now I need to try and figure all this out. What the heck do all these “things” mean? I do like the “reply” to each individual comment thingy. Maryse, what I’m finding confusing is that when you get to end of reading all the comments (sorted by oldest because this is only way my brain can read them *snort*) there is no option to post new comment like before. You either have to “reply” or scroll up to find “join the discussion”. Am I missing something? Leslie M… unfortunately, that’s the way this commenter works. The comment box is right beneath the post that you’re commenting on, so you can comment right away, then scroll through the other comments and reply to those. Or you can scroll through the other comments and reply, and then just scroll back up to the comment box if you want to include a totally separate comment of your own. The only difference is that the comment box is directly under the post, instead of all the way at the bottom under all the other comments, which makes sense since readers can immediately leave their own comments right away after reading the post (recommendations, or opinions, etc…) and then scroll through the “discussions” and reply to whatever they want to reply to. Let’s see if I can change the wording from “Join the Discussion” to “comment” which is what it was before. That might automatically (subconsciously) fix that box. What kind of sick, Tasha? I finally got over that three week flu-cold from a few weeks ago. Ugh… worst in DECADES!!! UGH THAT WAS MY COLD!!!! It’s a total jerk. Maryse, can we do HTML on here? Is that what it is called? I think so bev! I’m also checking to see if we can upload images in the comments. This is definitely a more “fancy” comments doohickey. Whoa. We can delete all our comments. The edit means you all will just see how illiterate I am. There will be no excuse. Ack! I miss comment box being on bottom! It’s not on top, it’s in the middle somewhere. After book list, before comments. Scrolling like a roll of toilet paper here. I’m on an iPhone, BTW. Wonder if they could add a button at the bottom that said “back to top”? My email is saved!! !’ Yay me. What are lightning & fire symbols for? Afraid to touch them. They take you to most upvotes and most active conversation thread. I had to push them. I’m gonna get a complex, though. “Most voted”? That’s like most popular in high school. Oh the pressure!! I’m too lazy to be scrolling around to look for my comments and votes. I dont see many of us using it…..maybe the lurkers? Voting has been removed… that was an option that I was able to find in the settings and de-activate. But….how am I going to know how popular I am? LOL!!! Oh trust me bev. You are incredibly popular here. We were waiting on pins and needles for you to finally be thrown into Fairy for good!!!! Once you finally arrived, we knew we had officially moved. Well I can bring back the votes later if we vote on it. 😉 See what I did there? HOW DID THIS APPEAR AFTER IT DISAPPEARING? *blinks* So double post and testing reply again! Name and email not saved for reply. And I’m a guest? HUH? All commenters are “guests” (even though you can each have your own name and avatar). But unless you are an admin or an editor on the blog (or a tech of some sort(, this software shows all commenters as “guests”. Not sure where your avatar went. Are you using the same email address to comment here that your original avatar is attached to? Okay, first… YAY! Name and email stick. The comment in the middle only going to take some getting used to, but not a deterrent. I like MichelleS’ idea that there is a go back to comment or top, but again, it’s not that annoying. Where did my icon go? 0.0 I got a new monster instead. Of course. 🙂 Now to figure out how to change my avatar again. I know there’s a post somewhere. I might even change it totally! Muahahaha. Though I do like that the avatars are bigger. That’s a nice change. Now testing new avatar… nope. Not yet. I have come to realize I love a hero with a marshmallow center. The love started earlier this year when I watched Between Lovers. This hero is rough around the edges, shimmering with hurt and anger, yet so respectful, protective, proud of and giving for those he loves. And the look he gets when he gets a bit of affection. He is definitely one of my favorite heroes now. Adding a montage because I know you all went watch but so you can see him and his heroine……who has a core of steel. Just thinking of it because the Police detective hero in Possessed is kind of rough around the edges, a bit hot headed, brave and a marshmallow, lol. Love it. Tessa – I see your new avatar in comments, but old one in replies?!?!? Edit… and still no new avatar. *shrugs* It will eventually TAKE! This is my official avatar testing comment. Are you seeing a face in the dark or dark with a white fairy, maybe unable to see the fairy?